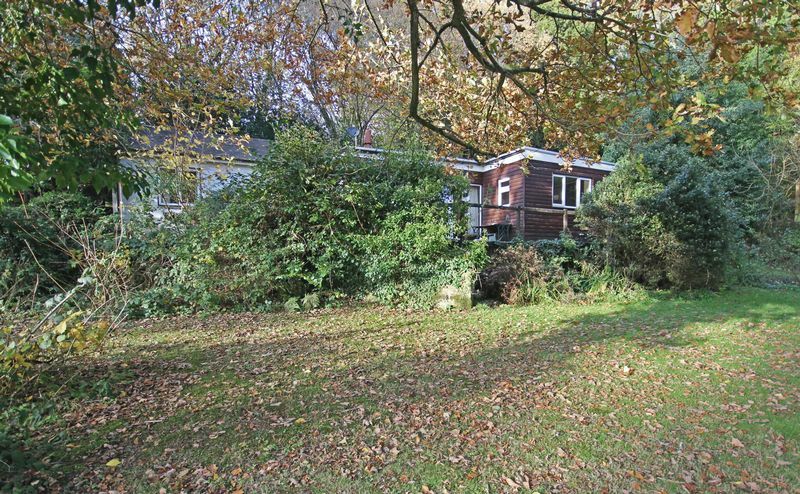 Enjoying a delightful location within the New Forest National Park - A detached bungalow offering scope for refurbishment or replacement (subject to planning) set in a 0.65 acre garden plot. 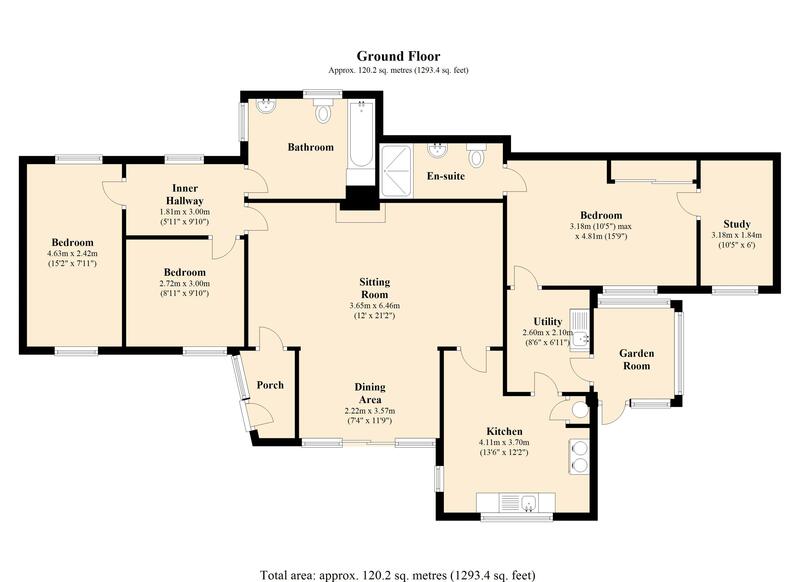 Entrance porch, sitting/dining room with open fire, kitchen/breakfast room, utility room, 3 bedrooms, en-suite shower room and family bathroom. Partially double glazed. Forest rights attached to the property. EPC band F.
Outgoings: Council tax band D: Amount payable 2018/19: £1482.00 Location: The property enjoys a most attractive position on the edge of Hatchett Green, close to open heathland and within the Hampshire and New Forest National Park boundaries. To locate: From Fordingbridge, proceed northwards on the A338 in the direction of Salisbury. 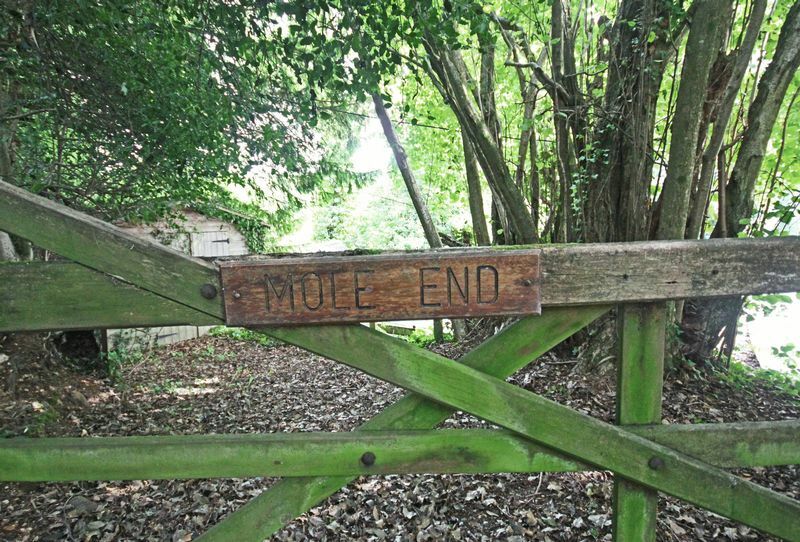 On reaching the village of Breamore (about 3 miles), turn right and proceed to Woodgreen. Continue through the village passing the village hall and village shop on your right hand side. 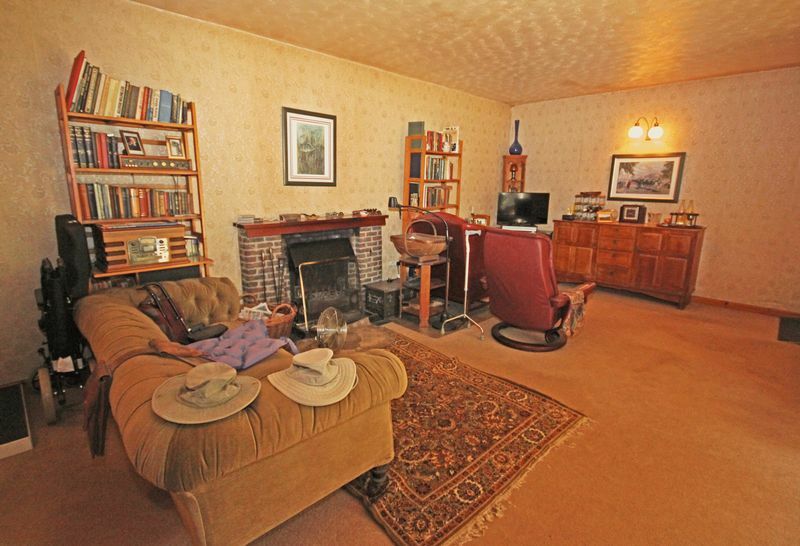 Continue for approximately 2 miles and turn right upon reaching Hatchett Green. See location map on page 4. 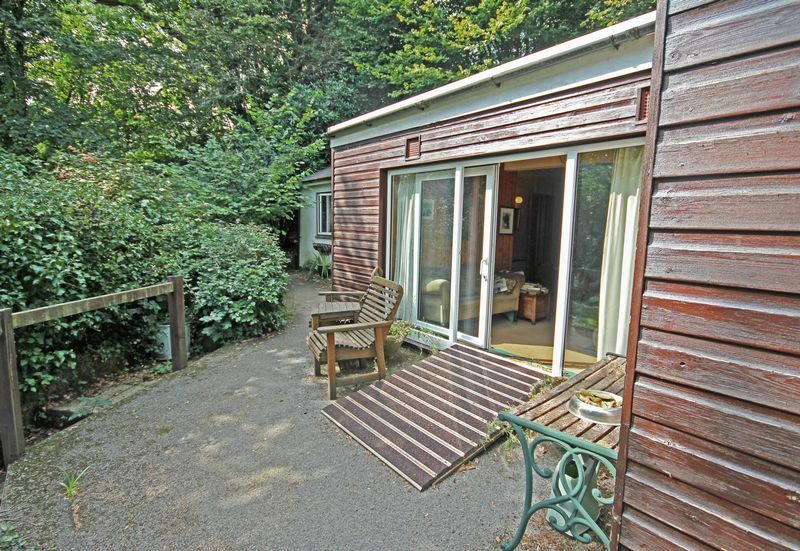 The property is tucked away in a quiet corner of the Western Escarpment Conservation Area within the New Forest National Park. 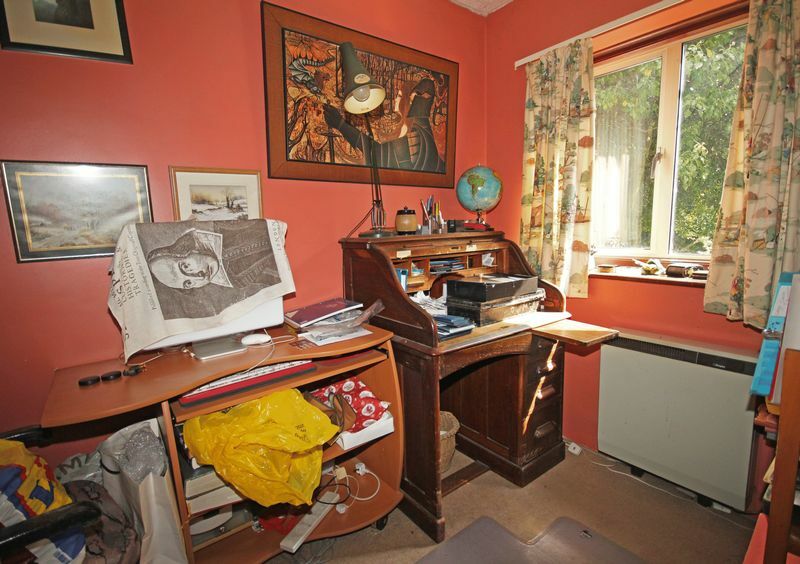 Local amenities include a post office and general stores in the neighbouring village of Woodfalls (approximately one mile) with shopping facilities available in nearby Fordingbridge where there is also a building society, public library and churches of various denominations. 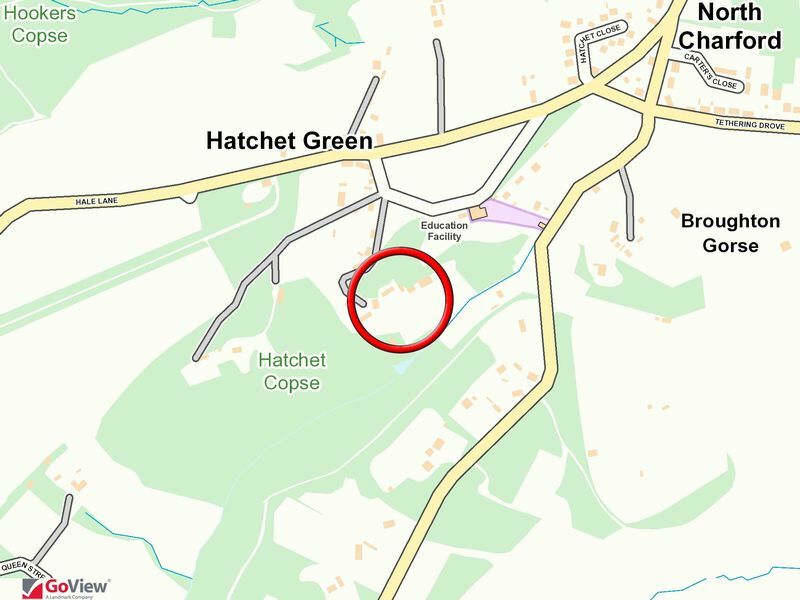 There is a Primary School on Hatchett Green which is a feeder school to The Burgate Secondary School & Sixth Form Centre in Fordingbridge. 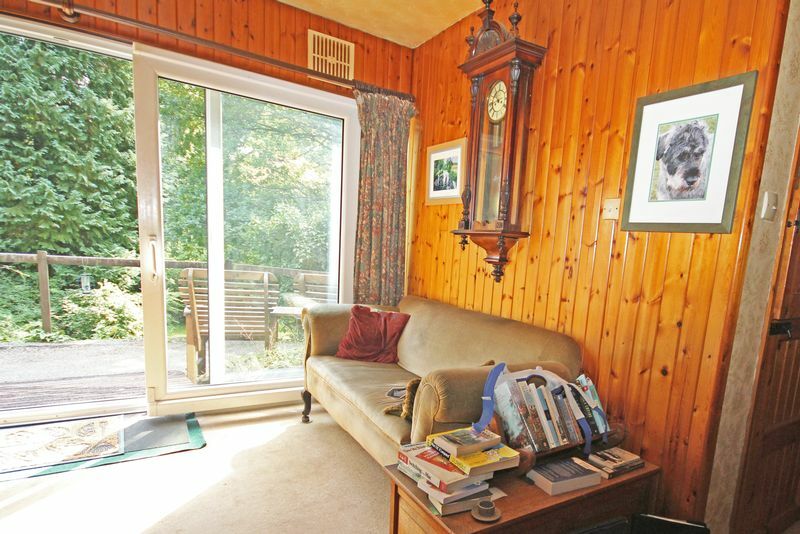 The area is convenient for access to several important centres with Salisbury some 9 miles to the north, and Jct of the M27 at Cadnam about 9 miles via the B3080 with Southampton approximately 17 miles. The south coast, with Bournemouth and Poole, is about 20 miles to the south. We understand the original property was built in the 1920s and has been altered and extended over the 40 plus years of the current ownership. The original part of the property has rendered elevations under a slate roof with the more recent additions being, we understand, of block and timber clad construction with a flat roof. 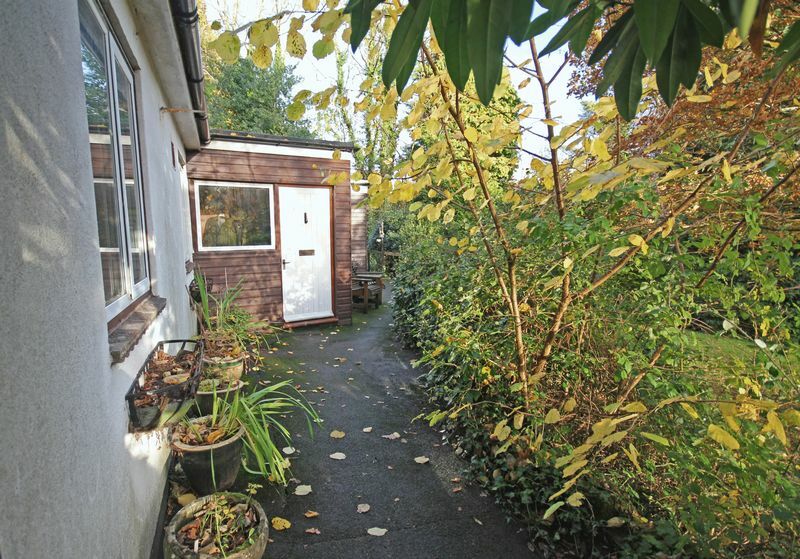 The property now offers scope to improve, extend or replace (subject to planning permission) to create a home in a unique, almost sylvan, setting within the New Forest. Accommodation: Brace and ledge door to enclosed porch with stable door to: Sitting room with dining area: Brick fireplace with open fire. Night storage heater. 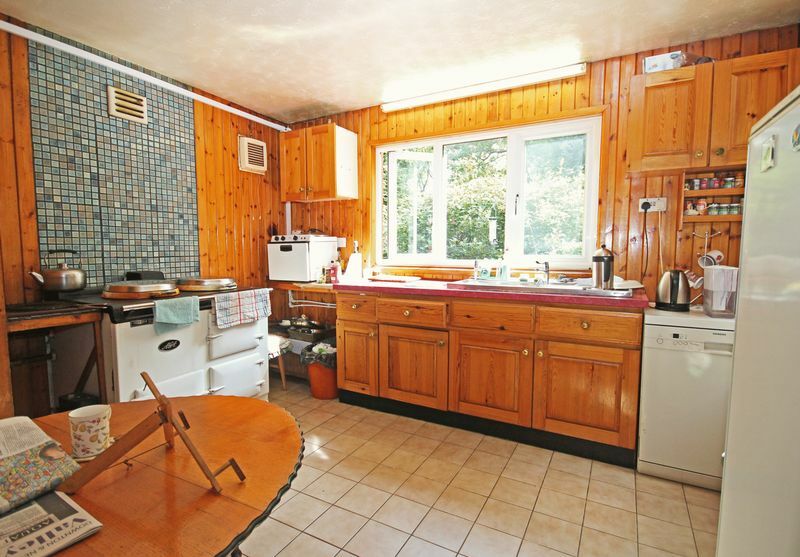 Kitchen/breakfast room: Fitted with pine kitchen units with a stainless steel sink and drainer. Storage cupboards. Cupboard housing lagged hot water tank. 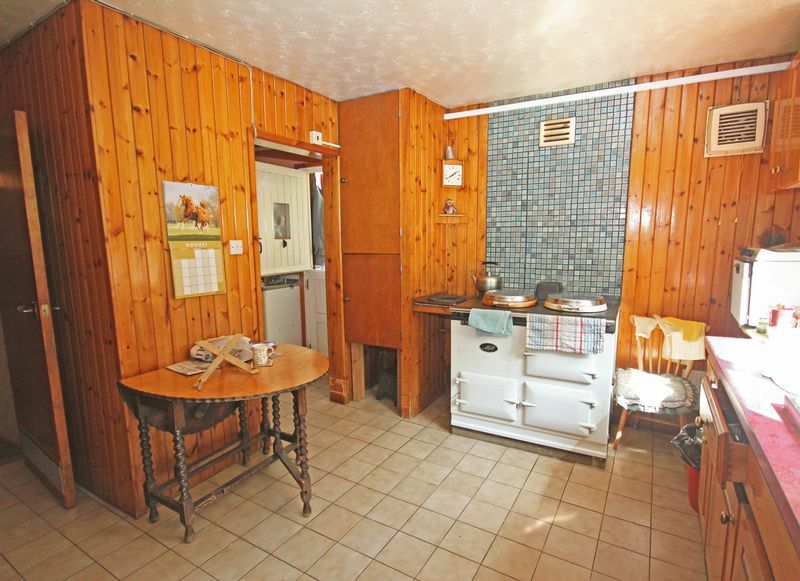 Oil fired AGA for cooker and hot water. Utility: Sink unit with plumbing for washing machine. Stable door to rear porch/sunroom which gives access to the garden. 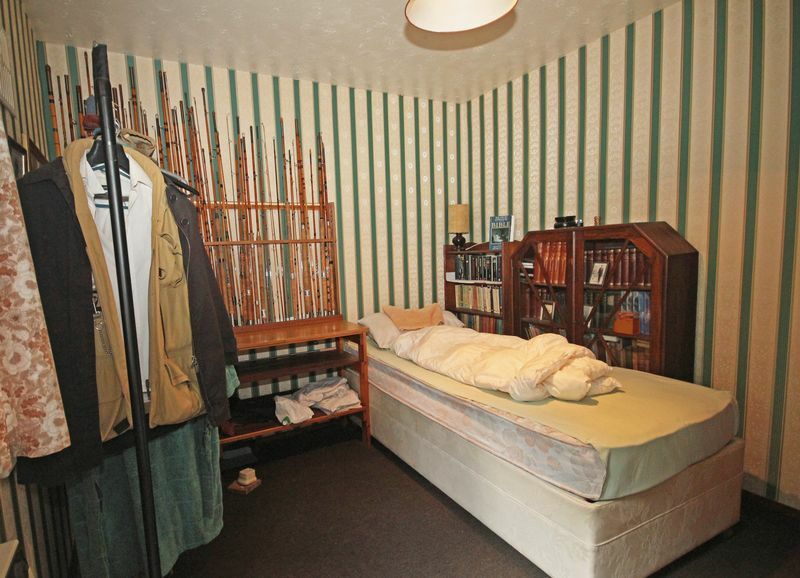 Door to: Bedroom 1: Built-in wardrobes. Night storage heater. 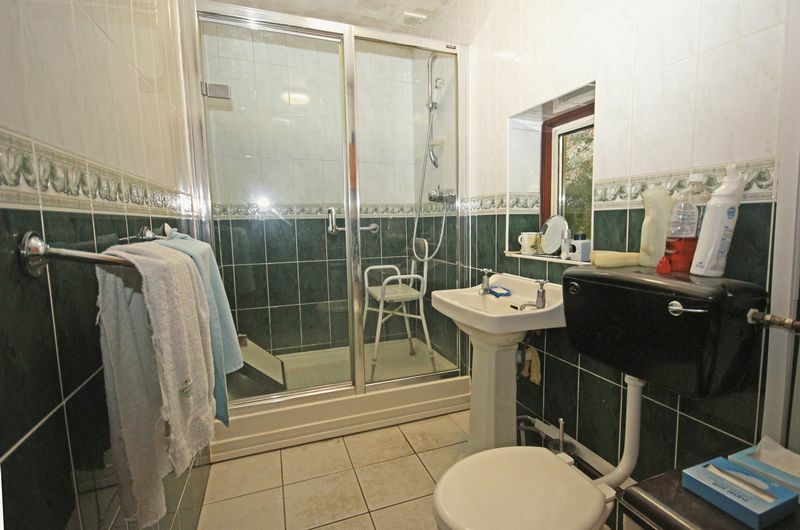 En-suite shower room with shower enclosure and mains shower, WC, pedestal washbasin. Night storage heater. Study: Storage heater. Inner hall from sitting room leads to: Bedroom 2: Night storage heater. 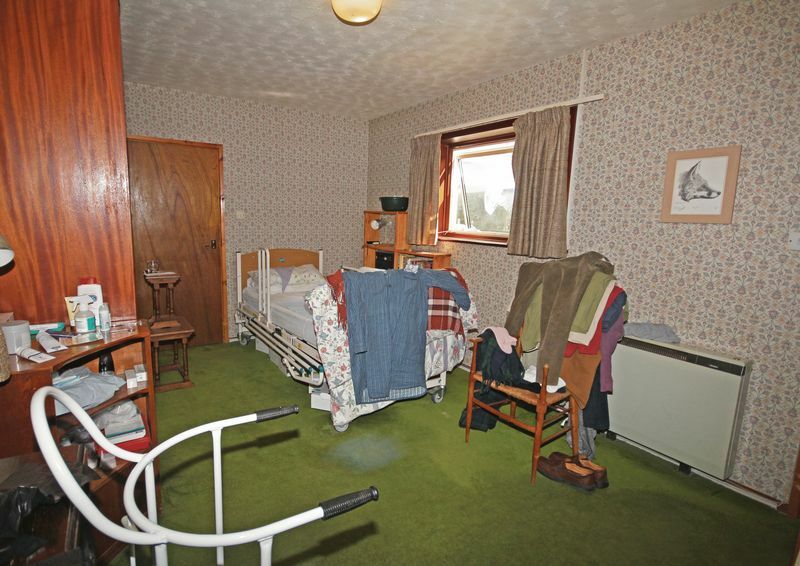 Bedroom 3: Electric heater. 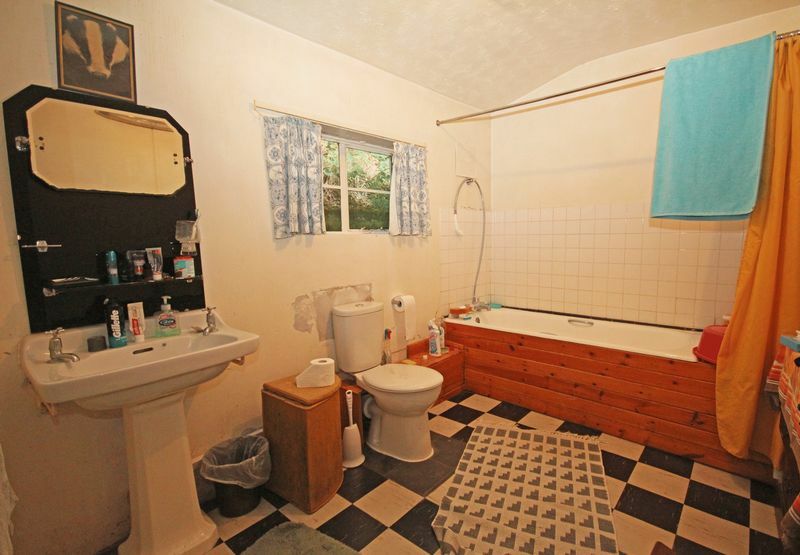 Family bathroom: Panelled bath. WC. Pedestal washbasin. 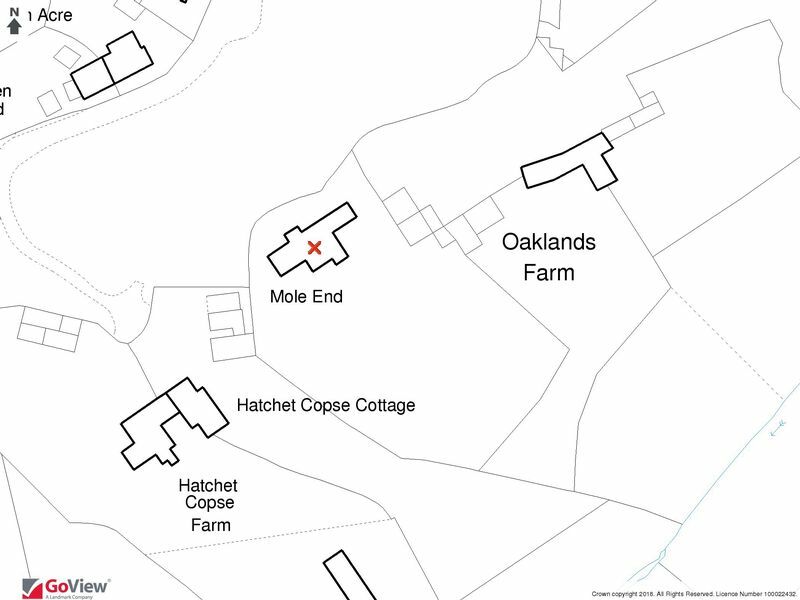 Outside: Mole End is approached from a forest track, through a pedestrian gate leading to the front door. 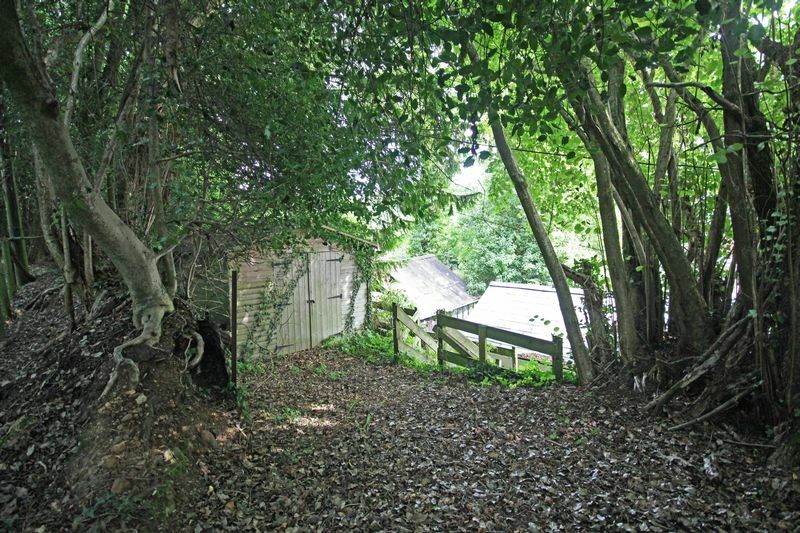 There is also a 5 bar gate giving vehicular access to a timber garage/shed which has power and light. There are various other outbuildings within the garden, most in need of repair or replacement. 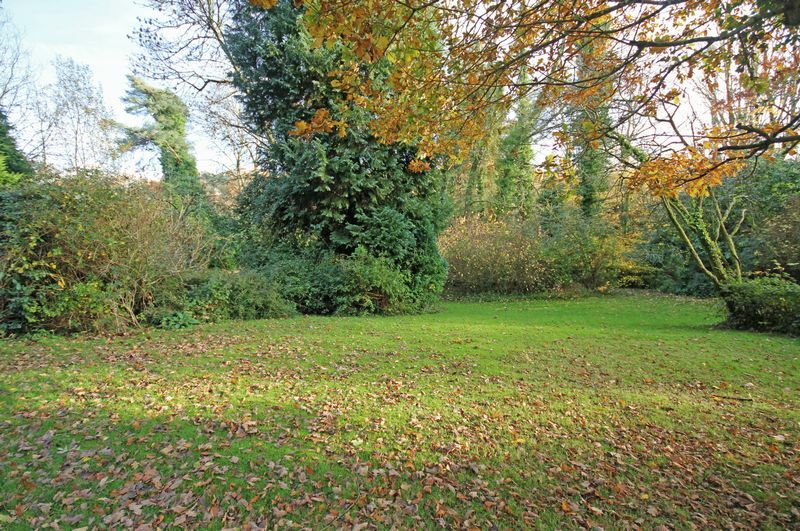 The garden grounds laid to lawn with established trees, shrubs and a pond. 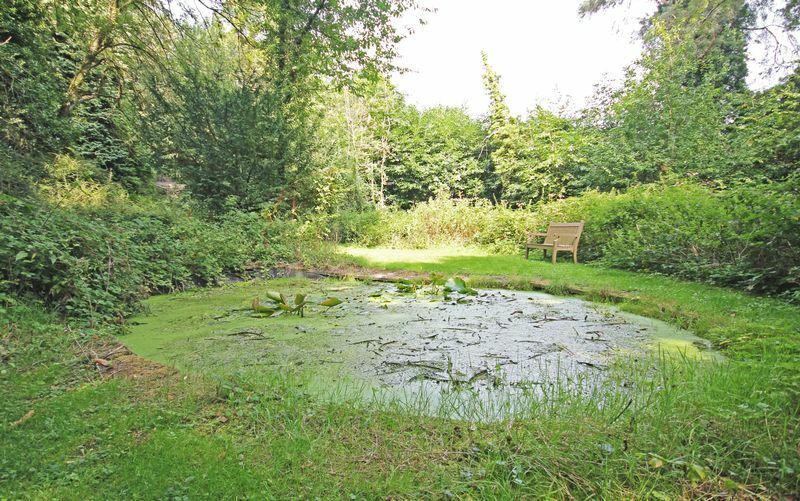 The garden is a haven for wildlife although now in need of taming the garden offers a wonderful space to create a fabulous New Forest garden.